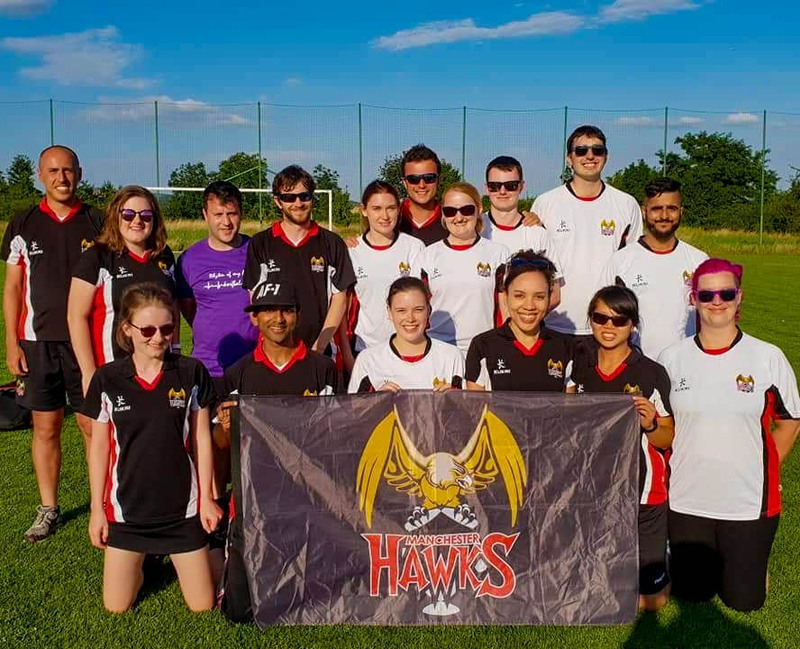 At the start of July Hawks took a trip abroad to take part in the International Korfball Weekend in Nitra, Slovakia. 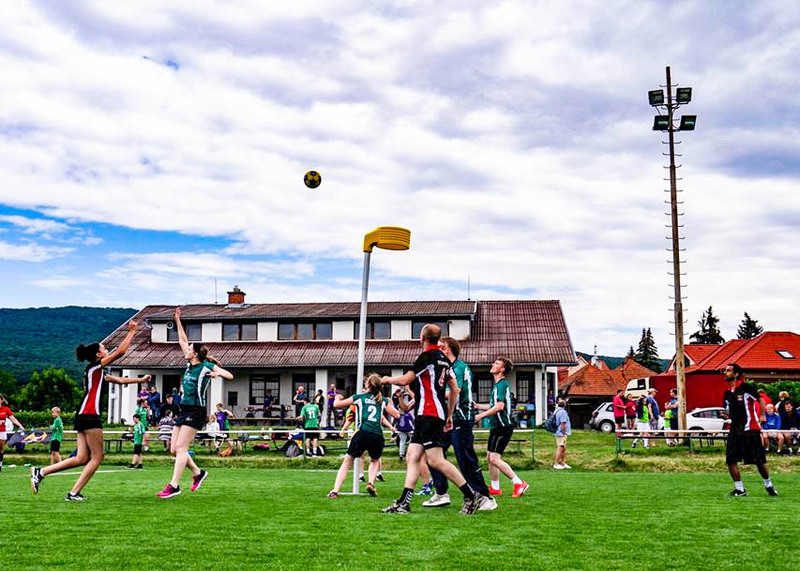 The tournament consisted of two days, a standard tournament on the Saturday played on grass, and a beach korfball tournament on the Sunday. Two teams were entered to the grass tournament and these were divided in to those that absolutely didn’t want to wear black in 30 degree heat (the White Shirts), and those that didn’t care or didn’t respond (the Black Shirts). Although the day was meant to be a korfball tournament, since England were playing Sweden at 4pm it was vital to reorganise the afternoon so we weren’t playing. We managed to rearrange most it so we got to see the football. Probably the best result of the day, that. Although the white shirts did put up a stirling performance against winners, Attila. We did come away with 2 trophies for the cabinet though, albeit for 12th (white shirts) and 16th (black shirts, although Jay is convinced it’s the other way around) place! – a very generous tournament. 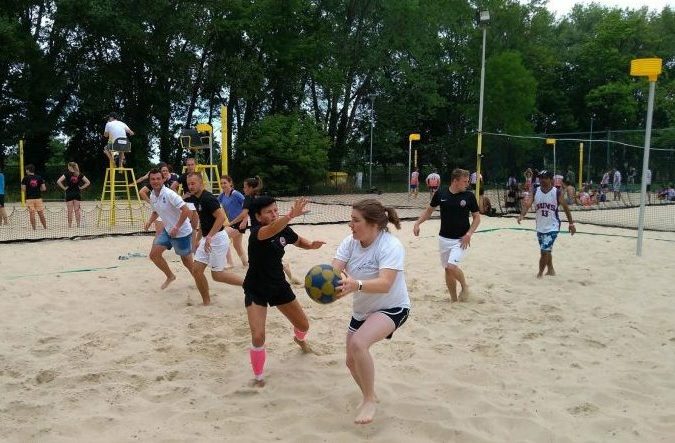 Sunday saw the beach tournament where we entered three teams, in hindsight two would have been better because it was way too hot to keep playing. Highlight of the day was Daniel, he was incredible against Attila scoring 4 goals in a 7-6 win.